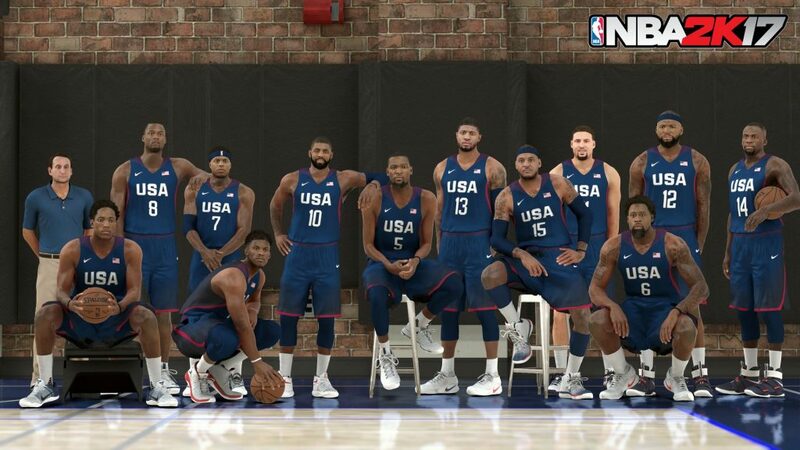 NBA 2K is back and more realistic than ever. And don’t worry, Draymond won’t be kicking anyone in the crotch. It’s not THAT realistic. It’s no secret that the NBA 2K franchise is the class of basketball games, if not the class of all sports games. That said, what’s really left to improve upon when you’re the best? Visual Concepts and 2K Sports tackle that question head on, but it essentially still feels like the same great game it’s been for years. NBA 2K17 is the latest entry in 2K Sports’ long-running NBA 2K series, and each entry has kept the series nothing short of spectacular. There really isn’t all that much to nitpick, but for the sake of conversation, let’s nitpick. The worst thing about last year’s game was probably the most unique feature with the game. MyPlayer has been bareboned for years, and in an effort to make things interesting, Spike Lee gave it some narrative. How’d it fare? Well, to give you some useless and made up stats, I’d say nine out of 10 2K fans thought the whole story element was stupid. Unfortunately, it’s back, but it’s not as dumb as last year’s. And once again, the overall game of basketball has gone through some tweaks continuing to make it an even bigger strength for its competitors so they can lose more sleep over it. 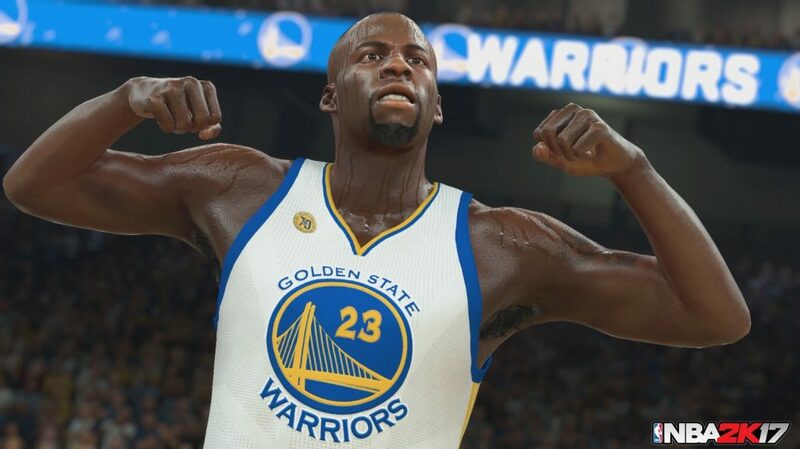 2K Sports heard the reviews and its fans of NBA 2K16. Spike Lee’s story was dumb. But instead of doing away with it entirely, we still have some story elements in NBA 2K17‘s MyPlayer mode. Unfortunately, you still have a stupid nickname. Instead of Frequency Vibrations, now you’re “The Pres” (short for “The President). If you downloaded “The Prelude,” the demo for NBA 2K17 that took you through the first part of the MyPlayer story, then you already know that the game gave you a choice of various colleges to play for before making your way to the pros. You meet your blunt, yet helpful high school coach, as your best friend on the college team, as well as your future significant other. It’s worth mentioning that this sort of thing hasn’t been done with a game demo before (the whole start your quest with the demo and continue with the actual game thing), so props should be given to 2K Sports for that. Anyway, that story continues into the NBA when you get drafted, and as such, there are two other players you get drafted with. One of them becomes another one of your buddies, while the other, played by the immensely talented actor Michael B. Jordan (no relation to “His Airness”), doesn’t like you. 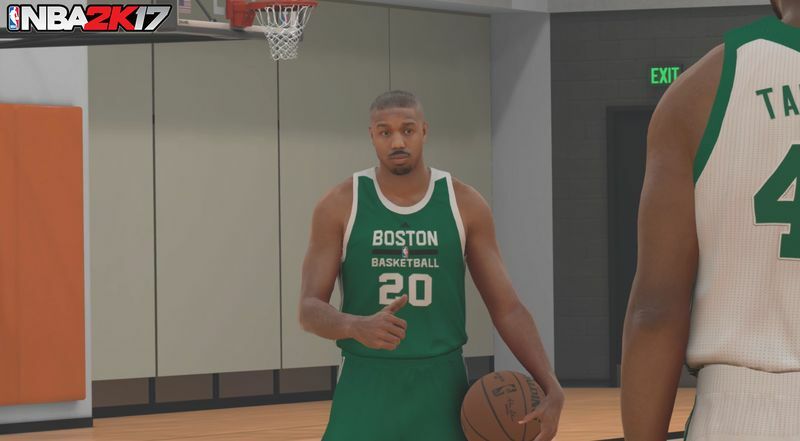 Can’t think of anything more awkward than Michael B. Jordan being put in a game that Michael Jordan was once the cover athlete of… Well, at least he’s a good actor. The story ends up being one of camaraderie. We don’t wanna go over too much, but one thing’s for sure: If you don’t really care about the MyPlayer story, unfortunately, there’s no way to skip these scenes. It’s the same problem that reared its ugly head in the previous game, and we really have no idea 2K Sports decided to do this again. We can only hope that this is addressed in a future patch. At least you don’t have to deal with a 30-minute monologue from the ghost of your selfish best friend. Story aside, 2K16‘s MyPlayer mode really leaves a lot to appreciate. But back to what’s really important: how the game of basketball plays in NBA 2K17. And once again, it’s a slam dunk. That isn’t to say there isn’t a learning curve, especially for those upgrading from 2K16. In addition to enhanced movement control mechanics, the developers did some tinkering that some might feel unnecessary. One example is with the shot meter. Now the meter is bigger, making the timing of your shot release all the more confusing. In addition to that, a lot of the directional pad shortcuts, primarily with substitutions and system changes, have all been mapped to the right analog stick. These aren’t huge changes, but veteran players are all about subtleties, and I can’t express how important it is to leave features that don’t need fixing the way they are. Continuity is important, and these changes makes it seem like the developers were trying too hard to make the game feel different. The annoyances of having to re-learn things aside, gameplay remains as fluid as ever. Each individual NBA star feels and plays the way they should play, and yes–that includes reigning two-time MVP Stephen Curry, who has unmatched range and can shoot a trey from virtually anywhere. Olympic gold medalist Carmelo Anthony (because there’s no other title worth mentioning), has a noticeably smoother dribble than everyone else, and ballhawk phenom Russell Westbrook doesn’t seem to get gassed, because he has to put Thunder on his back. It’s all about as real as it gets–except for LeBron. LeBron just flatout dominates, making it a shame he doesn’t play like his video game self in real life. Almost everything about the offensive game has somehow been mapped to the right stick. Not only is it your shooting button, but it also adjusts the rhythm of your dribble, makes you switch the hand you’re dribbling or shooting with, allows you to juke, and a whole mess of other things. Mastering the art of proper movement with the right stick is really what separates the veterans from newer players, as you can instinctively change up your game in combination with your knowledge of playcalling to always give yourself the upper hand. Oh yeah, it’s an olympic year. Here’s Team USA. Team Australia is also available to use. Of course, you still have the option of simply using the face buttons to act on your commands, but doing so gives up your control of various aspects of movement, leaving you victim to animations occurring in which you did not intend. I’m a button user myself, and while I feel like I’ve mastered the ins and outs on when and how to press each button, I’ve also inadvertently been called for a bunch of reach-in and blocking fouls that definitely affected play in closer games. With that in mind, no matter how much of a pro at 2K you are, I’d recommend trying out the 2K U tutorial mode, just so you can orient yourself with the various changes made to the game. Once you get the hang of things, it’s easy to see why NBA 2K dominates the market. Not only does it feature the best game of virtual basketball on the market, it’s also as close to an authentic NBA presentation as it gets. Once again, 2K Sports runs away with what’s easily the best sports presentation you’ll see in any sports game with their imitation of the NBA on TNT and TBS. The 2K A-Team consisting of Kevin Harlan and Greg Anthony are back again, but now the game features rotating guest commentators including Doris Burke, Steve Smith, Brent Barry, Clark Kellogg, and even Chris Webber. With Burke now at the booth, David Aldridge has the sideline reporting covered. While the sideline interviews are a bit stale and weird looking, the rotating guest commentary really makes each game feel fresh, and it’s a joy seeing this kind of effort from the development studio. I’ve been clamoring for sports games to employ different sets of commentators in sports games for a long time (especially with Madden), and this is about as close as it gets to seeing this wish actually unfold. It’s insane that NBA 2K once again beat Madden to the punch in that regard. 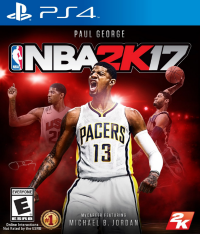 Right off the bat, fans will be able to tell that NBA 2K17 has some issues that’ll annoy longtime fans of the series, but that doesn’t in any way deter it from being an awesome game of basketball. Every mode from Association to Blacktop remains solid, while the controls really make you feel responsible for the success of each player, and with the best presentation in sports supporting it — NBA 2K17 remains king of the hardwood. With or without Michael B. Jordan.